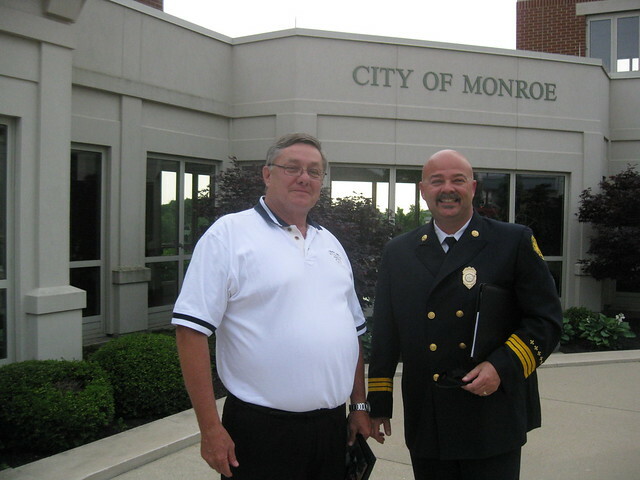 Fire Chief effective June 1, 2012.
understand what direction we are going in and try to get to that spot. those goals can be achieved as we move towards our advancement in the City. simply, that is what saves lives. classes, fire extinguisher, and car seat installations. A lot of people do not realize we offer that. purchasing power when you have several fire departments all buying from the same vendor. can be saved and yet focus on providing quality equipment and services to the community. grant money out there from the Federal government. We want to be able to apply for all of it. over the years. We know that the procedures and equipment we adopted have saved many lives. responsibility and we do not take it lightly and think it is very important. vigilant in our efforts to provide a safe place for our residents to live, work, and play." effective June 1, 2012; seconded by Mr. Black. Roll call vote: seven ayes. Motion carried.